Want to significantly improve your customer service? Try turning on our warning alerts for drivers. Sometimes, when drivers are due to begin their shift, they may decide to accept a job before they get into their vehicle. Before they know it, they’ve made a cup of tea and are already 10 minutes late for a job. With warning times, Ghost can actually detect whether a driver has moved since he/she accepted a job. 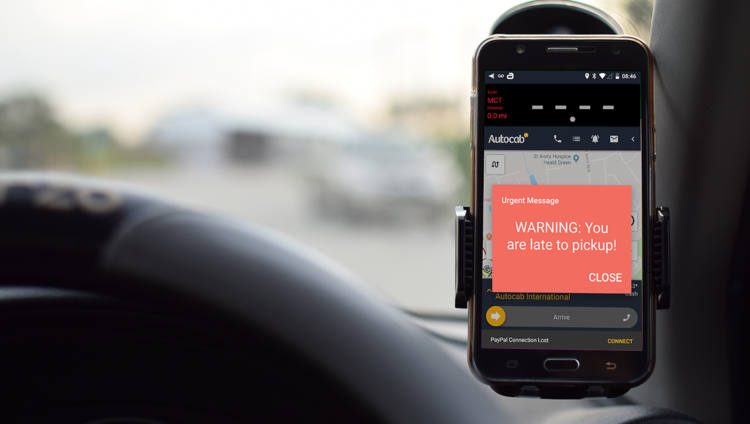 If they haven’t moved within a certain time frame, both the dispatcher and driver will receive a warning message, and the job may eventually be recovered. A simple tool but one that can be very effective for improving your customer service. To set up these warnings, go to Management > Settings > System > Warnings. On this screen you will be able to edit the times and distance settings of which the warnings will be set to appear. In the example on the left, if a driver has not moved more than 50 meters in 1 minute, then a warning will appear. This setting can be greatly beneficial to the efficiency of your dispatch team, as they can quickly assess issues and take proactive measures, when needed. 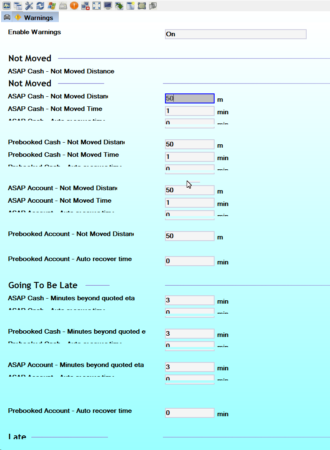 You can also set an Auto Recovery time and distance; particularly important for your Account work. This means that if the driver has not moved a certain distance within the timeframe you have set, this job will be recovered and sent to another driver. Quick tip: warnings can also be accessed by clicking ‘W’ on the booking screen. To set these warnings, go to Management > Messages > System Messages and scroll down to ‘Warnings’. Once ticked, default messages will appear in the boxes. However, these can be changed to a message of your choosing. To edit any of the alerts, just click ‘Edit’ and don’t forget to save before exiting the page.